Wu Zhengfu, a top-level official in the People's Bank of China, has made a public announcement that April Fools day jokes are now officially banned in the country. A formal statement, now released on the PBoC website, states that "at this stage, all public informational and media institutions must not make statements of fraudulent comedy, directly or indirectly, on the day of April 1, nor act as a platform for individuals to write such statements, nor hyperlink to such statements, nor use April 1 as the day for whimsical announcements". According to Zhengfu, the People's Bank of China does not consider April fools' day a threat to China's cultural system, but it does cause risks of potentially destabilizing the government's ability to effectively communicate its intent through blogs and news outlets. "The concern is that it interferes with our attempts to explain to the public what is allowed and what is not," Zhengfu says. "Just a few days ago, we were planning to announce on April 1 that we were going to ban Bitcoin. But we realized that the fact that the entire internet would treat it as a joke would have made it impossible for us to effectively do so. Now, we have to delay the Chinese Bitcoin community's demise to what is essentially an American tax day." On the positive side, however, Zhengfu notes that the CEO of Bitcoin Kal-El Al Gore has banned China, and hopes that the unfortuante timing decision by Gore will, at least for the time being, convince the Chinese and Bitcoin media that Gore's move was a joke, giving the People's Bank of China sufficient breathing room to convert its bitcoin reserves into doge. Additionally, Zhengfu hopes that the elimination of April Fools day will improve the state of Chinese culture. "For too many years in the Western world, and increasingly the Chinese online sphere as well, there has been a consistent decline in the quality of jokes made on this day. What initially was, at least in part, actually good humor, has since declined into increasingly stupid announcements, poorly thought out jabs that have already been made the other 364 days of the year, and utterly predictable trolls. Hopefully Chinese citizens will find a more productive means of expressing themselves, and we will have more high quality and joyful humor for everyone." Bobby Lee, CEO of BTCChina, has taken the opportunity to express his disappointment at the continue disorganization and shenanigans of the Chinese state. "For over two years now my brother Charlie and I have been expertly positioning ourselves to deliver a credible Chinese, and cryptocurrency-based, alternative to the New World Order and the Rothschild family. You may recall that two years ago Coinbase was infilitrated by Fred Ehrsam, an agent from Goldman Sachs, and Charlie has been trying very hard to act as a triple-agent inside the organization and report to the Chinese government and myself on Fred's attempts to centralize and subvert Coinbase and the Bitcoin ecosystem for the benefit of London and New York-based financial elites. Now, the sheer inability of the Chinese governmment to deliver a single accurate statement on the state of Bitcoin in China is a major reason why our plans have been delayed for so long. Arguably, the only reason we have been able to survive the regulatory uncertainty around Bitcoin at all is simply the fact that Charlie had the forethought to create Litecoin as an alternative." Additionally, Lee notes, the ruling made by the PBoC is very ambiguous, a strategy which is typical of the Chinese government. "Does 'public informational and media institutions' include ordinary citizens?" Lee asks, "or is it just specific to formal companies?" Furthermore, Lee points out that the PBoC is a regulatory agency specific to financial insitutions, so it may be interpreted that the statement applied only to banks, payment institutions and perhaps Bitcoin exchanges. And, finally, is "April 1" just "April 1, 2014" or does it apply to future days entitled "April 1" as well? 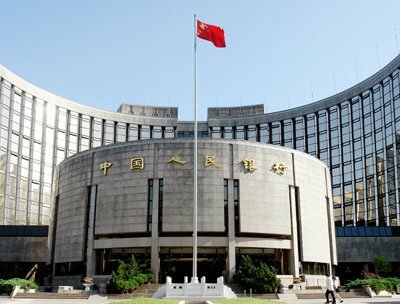 Lee is currently in talks with senior-level officials in the PBoC about these concerns, and will hopefully soon receive guidance on whether or not BTCChina is affected. If the exchange is covered by the guidelines, and if the comments expressed by Lee are genuine and part of an April Fools joke by himself (as opposed to being fake comments created as part of an April Fools joke by Bitcoin Magazine, or real comments about an actual new new world order on the part of Bobby and Charlie), Lee says, "then I am so screwed. Unless, of course, the PBoC banning April Fools jokes is part of the joke." Matt Mellon, lead spokesman for the original New World Order, declined to comment.